Social media has long emerged from the realms of basic interactions and personal communications. It has morphed from a simple platform used to stay in touch with friends and relatives to a powerful marketing tool. With almost 2.5 billion social media users, the digital medium has the potential to propel the success of a business at a low marketing cost, unlike traditional marketing methods. This makes social media an ideal marketing channel for small business with low budgets. Moreover, it is an effective medium for small businesses to capture leads and make binding connections with prospective customers. It also provides a communication outlet between the customers and the businesses, giving both parties a chance to interact at a personal level. Almost 94% of small businesses understand the importance of social media for their growth. Many also use it actively to promote their brands. Nearly half of these entrepreneurs agree that social media helps them increase sales. While 70% have witnessed a decent ROI from social media. 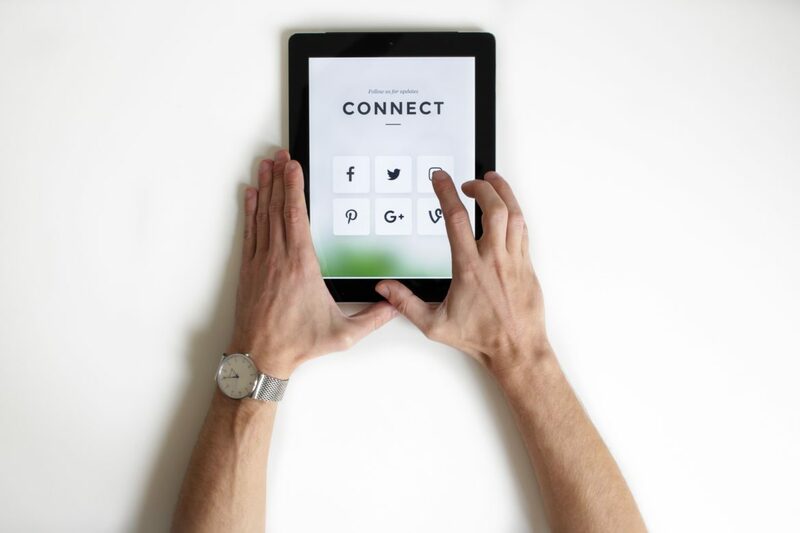 According to Social Media Marketing Industry Report, 92% of marketers, who work with small businesses, strongly agree that social media is critical to expedite their marketing efforts. Here, it is crucial to understand that the social media marketing campaigns of small businesses are incomparable to that of market giants. These massive corporations have the time and resources to cultivate an affluent social media presence. They have substantial financial backings, which allow them to create massive amounts of content and ultra-glamorous campaigns. In retrospect, small businesses that try to compete with these prominent organizations are setting themselves up for failure. Instead, they should focus on expanding their outreach and brand awareness to increase website traffic. They should build a community around their business and aim to solve everyday problems for their clients. Every business transaction, including the marketing plan, needs a carefully crafted strategy. As a small business owner, you might prioritize implementing over planning the marketing strategy. However, setting a definitive plan helps you in the long run to achieve your well-defined goals. Here is how you can do it. Specific: Be specific when you decide on your social media objectives. Ask yourself, what do I want to achieve with social media campaigning? How is the goal going to benefit my business? Which social media medium do I need to focus on? Measurable: Use quantified values instead of vaguely deciding on increasing your social media followers. How many more followers do I want on my Instagram? How many leads should I capture through my Facebook posts? Having clear goals saves your time and effort, and allows you understand how close you are to achieving those goals. Attainable: Being realistic is an important aspect of running a business. Set achievable goals according to your resources and strengths, and previous accomplishments. If you have effectively managed to direct a planned amount of traffic from your Twitter account to your website, you know you can do it again. Be ambitious but do not be overly so. Relevant: The main aim of social media marketing is to generate revenues, eventually. Your goals should be related to your overall business plan. If you aim to increase your subscribers, focus on strategizing ways to capture qualified leads, instead of merely growing your social media followers. Timely: Assign deadlines to reach goals. This gives you a fixed period to acquire your objectives and keeps you on your toes. In addition, conduct a social media audit to determine the most preferred platforms for your target audience. Create or optimize your social media accounts to target these customers. Compare your social media presence with your competitors’ to gain a perspective of your market value. You can also take inspirations from social media strategies of market leaders. You might not be able to emulate them completely, but you can study their tactics and implement them in your plan according to your budget. Social media strategy of a company that you can imitate is Denny’s Tumblr blog. Their account features comical posts and witty replies to customers’ comments that are distinctive, and humorous. Their posts are extremely popular. Moreover, their amusing responses prompt more followers to leave a comment and enjoy the roasting. Small business owners often have to multi-task as they lack the resources to hire numerous employees. And chances are that your social media marketing team comprises of only you. Therefore, avoid setting up accounts on all social media channels. It will be challenging to manage all of them simultaneously. Establish strong social media presence on selected accounts and focus on quality instead of quantity. There are numerous social media networks, and each possesses its own merits. Analyze the advantages offered by each platform like their current demographics, paid advertisement packages, number of daily users, ease of usability, etc. In general, Facebook with more than 2 billion users is most popular amongst small and large companies alike. It caters to all genres of businesses as it hosts varying age groups, which offers greater opportunities to expand your outreach. Instagram, the popular photo-centric app, is a close second with the best engagement levels at 59%. SnapChat is most prevalent amongst the younger demographics while LinkedIn mainly facilitates professionals. With its concise format, Twitter is perfect for regular, prompt postings and YouTube aptly caters to companies with the resources to generate videos. Melrose Jewelers, an e-commerce retailer based in Los Angeles, sells luxury watches such as Cartier, Breitling, Rolex, etc. They initially focused on their YouTube channel, Facebook page and kept their website active with a creative blog. Since launching their social media campaign, the company has increased its annual sale by 71% every year. They have successfully used their social media channels to establish credibility, which was crucial to influencing customers to make expensive online purchases. They recently ran a Facebook campaign in which their followers took a quiz, and the company suggested a watch based on the answers from their impressive collection of 600 watches. The interactive strategy earned them over $100,000 in sales. Social media is excellent for generating hype around your brand. However, the ultimate business goal is to produce leads, convert more prospects and increase sales. To attain your goals, you have to entice your social media followers to visit your website. Share your blog posts with a catchy headline, highlight in-store, and online deals, offer incentives and promote new products on your social accounts. Make sure to share specific web pages or landing pages relevant to the post to expedite the conversion process. Directing traffic to optimized conversion pages is more efficient than sending users to your homepage. Expecting visitors to discover relevant content or web page by themselves may exasperate the customer. And this could increase your website’s bounce rate. You should also track posts that prompted the greatest click-through rate. Also note the time when a post was published and the social network that hosted it. Evaluate these factors to create content and schedules that engages the maximum number of users. JamaicanMusic, an online music channel, witnessed an astronomical growth of 2.9 million followers in just four months through smart social media practices. By hosting exciting contests, and providing free music, games and other resourceful services, they successfully compelled their Facebook audience to visit their website, routinely. JamaicanMusic’s strategies are also worth imitating as they generate valuable referrals and promotion through word of mouth.